Howard Pittman | Who Are The Real Jews? 16 Feb Who Are The Real Jews? Who are real Jews? This is what Strong’s list about the real Jews. 03064. In other words a real Jew is a blood descendant of Judah. Do Christians have a Hebrew Heritage? Are all Hebrews Jews? Does the word Jew only mean,” One who practices Judaism, or is there a more profound meaning to that word? To answer these and other important questions, we study the Bible on the history of the Hebrews. First, we need to define the meaning of the word, “Hebrew”. Strong’s list the meaning of the word,” Hebrew”, as follows, 05680. yrbe ‘Ibriy ib-ree’; patronymic from 05677; an Eberite (i.e. Hebrew) or descendant of Eber:— Hebrew (-ess, woman). Or child of Eber, in reality a descendant of Abraham. For a time in bible history only blood descendants of Abraham were Hebrews. However, when we reach the New Testament we find that Christians would become Hebrews or Israelites at the time of their second birth. “And he received the sign of circumcision, a seal of the righteousness of the faith which he had yet being uncircumcised: that he might be the father of all them that believe, though they be not circumcised; that righteousness might be imputed unto them also: And the father of circumcision to them who are not of the circumcision only, but who also walk in the steps of that faith of our father Abraham, which he had being yet uncircumcised.” Romans 4:11,12, KJV. “And if ye be Christ’s, then are ye Abraham’s seed, and heirs according to the promise.” Galatians 3:29, KJV. Notice the word seed! We learn from research that a true Jew is a bloodline descendant of Judah; also a true Jew is a Hebrew. We learned from our research that the word “Jew” in Scripture was used to designate “race” and not religion. We have learned also that one who was not a bloodline descendant of Judah, but had adopted the Jewish religion, was also called a Jew. But a born again Christian could never be called a Jew, unless he was a bloodline descendant of Judah who had converted to Christianity. All born again Christians are, by adoption, a Hebrew. Many have asked the question, how can one be the seed of Abraham if not actually born of his bloodline? The answer is simple. “By the divine specific act of God.” Just as it says in the above Scripture. This is how all who are born again become sons of God, by His divine specific act. Does not the Scripture teach us that God can do anything? Nothing is impossible with Him. The only true sons of God are those who have been created by His divine specific act. Didn’t Jesus say that God could even raise up seed to Abraham from stones? The sons of God as listed in Scripture are as follows, Jesus, all His angels, (good and bad) Adam, those who He specifically saved in the Old Testament, and all born again believers. These were all created by God’s divine specific act. All other humans are as the result of Adam and Eve. The first time the word” Jew” was used in the Bible is in II kings 16:6. Notice what it has to say. “At that time Rezin king of Syria recovered Elath to Syria, and drave the Jews from Elath: and the Syrians came to Elath, and dwelt there unto this day.” 2 Kings 16:6, KJV. Israel and Judah were at war with each other and Israel had enlisted the aid of Syria to help defeat the Jews. It was here the writer of the Book Of Kings used the word Jew as a short form of the word” Judahites”. From that time forward the word “Jew” would be used when one was referring to the Judahites.This war had occurred long after Israel and Judah had split into two nations. The Bible said the two nations would remain separate until the end of the tribulation period and then, and only then, would God reunite them. From our research on the history of the Jews we learned that sometime about the fifth or sixth century AD, there existed the Khazars Empire, which occupied a strategic key position at the vital gateway between The Black Sea and the Caspian. The people who formed this Empire were most likely a tribe of barbarians who came from the area we know as Mount Ararat and Armenia. As we will learn later in this book, the people who settled in the land we now call Turkey were descendants of Kittim, or grandson of Japheth, who was a son of Noah. Japheth was the father of the gentile nations. The Khazars were descendants of Ashkenaz, also a son of Japheth. These people were not descendants of Abraham or of any of his children. For some unknown reason they adopted the Jewish religion. They became known as “Jews”. History does not record how they became converted to the Jewish religion. It was in this strategic area, occupied by the Khazars, where the great Eastern powers of that period, confronted each other. The Khazar Army acted as a buffer between the Muslim Arabs and the Roman Army. The Khazars effectively blocked the Arab avalanche in its most devastating early stages and thus prevented the Muslim conquest of Eastern Europe. Professor Dunlop of Columbia University had this to say about the encounter of the khazars and the Muslim Arabs. “The Khazar country . . . lay across the natural line of advance of the Arabs. Within a few years of the death of Muhammad (AD 632) the armies of the Caliphate. Sweeping northward through the Wreckage of two empires and carrying all before them. Reached the great mountain barrier of the Caucasus. Once passed this barrier, the road lay open to the lands of Eastern Europe. As it was. On the line of the Caucasus the Arabs met the forces of an organized military power, which effectively prevented them from extending their conquests in this direction. The wars of the Arabs and the Khazars, which lasted more than a hundred years, though little known, have thus considerable historical importance. It is perhaps not surprising. Given these circumstances, that in 732 – after a resounding Khazar victory over the Arabs – the future Emperor Constantine V married a Khazar princess. In due time their son became the Emperor Leo IV, known as Leo the Khazar. Ironically the last battle in the war, AD 737. Ended in a Khazar defeat but, by that time the impetus of the Muslim Holy War was spent, the Caliphate was rocked by internal dissensions. And the Arab invaders retraced their steps across the Caucasus without having gained a permanent foothold in the north, whereas the Khazars became more powerful than they had previously been. The Khazar Empire was destroyed in the twelfth or Thirteenth century. History traces the migration of the Khazar tribes into the Crimea, in the Ukraine, in Hungary, Poland and Lithuania. Thus the migration of the Khazar tribes is traced into those regions of Eastern Europe, mainly into Russia and Poland, where at the dawn of our modern age, the greatest concentration of Jews were found. This leaves some historians to believe that the largest part of the Jewish population is of Khazar and not of Hebrew. These people claimed as their ancestor and father one, “Ashkenaz” who was a son of Gomer, the son of Japheth, a son of Noah. Ashkenaz and Kittim were first cousins, all listed in the Tenth chapter of Genesis.This makes them Gentiles and not Hebrew. Ashkenaz is mentioned in three verses in the Bible. Number one in Genesis Chapter 10:3, as an individual. Number two in 1 Chronicles 1:6 as an individual and in Jeremiah 51: 27 as a nation. Recorded history tells us the ancient Khazar Empire was a major, but almost forgotten power in Eastern Europe, which in the dark ages became converted to Judaism. The forces of Genghis Khan finally wiped out Khazaria, but evidence indicates that the Khazars themselves migrated to Poland and formed the cradle of Western Jewry. Just as history says, the race of Jews, or those who are descendants of Judah, have all but disappeared, except for a small percentage. Like the other tribes of Israel they have been scattered throughout the nations of the world and have lost their true identity until the whole of Israel is restored as the Bible says it will be. Until that time let us rely on God to sort it all out. In his historical writings, on Kahazar Empire research, Arthur Koestler stated “the Jews of the twentieth century fall into two main divisions: Sephardim and Ashkenazim. The Sephardim are discendants of the Jews who since time of old had lived in Spain (in Hebrew Sephardim). They were expelled at the end of the fifteenth century and settled in the countries bordering on the Mediterranean, the Balkans, and to a lesser extent in Western Europe. They spoke a Spanish-Hebrew dialect and preserved their own traditions and religious rites. In the 1960’s the number of Sephardim was estimated at 500, 000. At the same time the Ashkenazim were estimated to number about eleven million. KJV“O Lord, righteousness belongeth unto thee, but unto us confusion of faces, as at this day; to the men of Judah, and to the inhabitants of Jerusalem, and unto all Israel, that are near, and that are far off, through all the countries whither thou hast driven them, because of their trespass that they have trespassed against thee.” Daniel 9:7, KJV. The Bible tells us, in the Book of Revelation, that the Lord Himself will expose the false Jews at the end time. “Behold, I will make them of the synagogue of Satan, which say they are Jews, and are not, but do lie; behold, I will make them to come and worship before thy feet, and to know that I have loved thee.” Revelation 3:9, KJV. In writing this Chapter and doing my research, I found a world of evidence uncovered by Author Koestler. Mr. Koestler was born in Budapest in 1905. He was the author of many historical works. I relied heavily on his research. Mr. Koestler received the Sonning Prize at the University of Copenhagen for his contributions to the European Culture. Although Mr. Koestler resided in Europe, mainly in England, he frequently lectured at American Universities. All of his historical writings are now being reproduced in twenty volumes. The following are direct quotes from the “Grolier Multimedia Encyclopedia concerning the Khazars. Another direct quote from the Encyclopedia concerning the Sephardim Jews. The Sephardim are those Jews who follow the liturgy and customs developed by the Jews of medieval Spain and Portugal. The name comes from Sepharad, a place of exile mentioned in Obadiah 20 and early identified with Iberia. Unlike the Ashkenazim, those Jews who settled in German lands, the Sephardim followed Babylonian rather than Palestinian Jewish traditions. They also developed their own language, Ladino, or Judeo-Spanish, a blend of medieval Castilian, Hebrew, Arabic, and other elements. There is a considerable body of Ladino literature. You will read in our Chapter on the descendants of the twin sons of Judah, by his daughter-in-law Tamar, their names Pharez and Zarah. How we tracked Zerah’s descendants to Spain and Gaul (now France) The whole story is told in the 38th Chapter of Genesis. We know from the Book of Obadiah in the Bible that both Zarephath and Sepharad are mentioned in the Holy Scripture. This refers to the descendants of Zarah, one of the twin sons of Judah, who took his family to Spain. ““And the captivity of this host of the children of Israel shall possess that of the Canaanites, even unto Zarephath; and the captivity of Jerusalem, which is in Sepharad, shall possess the cities of the south.” Obadiah 1:20, KJV. By our research in writing this paper, I think we have proved beyond a doubt that the Nation of Israel, made up of now, thirteen tribes, is scattered in nations throughout the world. Very early in creation, God said He planned this before the world was formed. He knew that Satan would never stop trying to destroy Israel therefore He scattered Israel very early in History. God would have to keep the tribe of Judah out in the open because Jesus would come through this tribe to bring salvation to all who would believe. After Jesus came, then it would be necessary to hide Judah, as He had hidden Israel. ““When the most High divided to the nations their inheritance, when he separated the sons of Adam, he set the bounds of the people according to the number of the children of Israel. For the LORD’S portion is his people; Jacob is the lot of his inheritance.” Deuteronomy 32:8,9, KJV. 1©1998 Grolier Interactive Inc. All Rights Reserved. 2©1998 Grolier Interactive Inc. All Rights Reserved. “And Israel stretched out his right hand, and laid it upon Ephraim’s head, who was the younger, and his left hand upon Manasseh’s head, guiding his hands wittingly; for Manasseh was the firstborn. And he blessed Joseph, and said, God, before whom my fathers Abraham and Isaac did walk, the God which fed me all my life long unto this day, The Angel which redeemed me from all evil, bless the lads; and let my name be named on them, and the name of my fathers Abraham and Isaac; and let them grow into a multitude in the midst of the earth.” Genesis 48:14-16, KJV. Note: These two, Ephraim and Manasseh, of all Jacob’s children were picked for a special blessing to mankind. “And Joseph said unto his father, not so, my father: for this is the firstborn; put thy right hand upon his head. And his father refused, and said, I know it, my son, I know it: he also shall become a people, and he also shall be great: but truly his younger brother shall be greater than he, and his seed shall become a multitude of nations. And he blessed them that day, saying, in thee shall Israel bless, saying, God make thee as Ephraim and as Manasseh: and he set Ephraim before Manasseh.” Genesis 48:18-20, KJV. “The sceptre shall not depart from Judah, nor a lawgiver from between his feet, until Shiloh come; and unto him shall the gathering of the people be.” Genesis 49:10, KJV..
“Ought ye not to know that the LORD God of Israel gave the kingdom over Israel to David for ever, even to him and to his sons by a covenant of salt?” 2 Chronicles 13:5, KJV. Now the third son is picked, Judah. Through these three, Ephraim, Manasseh, and Judah would come the great blessings to humanity down through the pages of time. By dividing the Tribe of Joseph, and adopting Ephraim and Manasseh, as his own, Jacob had just created the 13th tribe. By doing this Jacob had foretold the nation of Israel would divide and become two separate nations. They would become Israel and Judah. They would stay united through the kings of, Saul, David, and Solomon. At Solomon’s death they would split into two nations, with ten and one half tribes making up Israel and two and one half tribes making up Judah. For a total of 13 tribes. From Genesis Chapter five to Revelation Chapter seven, there are always 13 tribes and two nations. Now see what the Bible says about the separation. “So Jeroboam and all the people came to Rehoboam on the third day, as the king bade, saying, Come again to me on the third day.” 2 Chronicles 10:12, KJV. “And Israel rebelled against the house of David unto this day.” 2 Chronicles 10:19, KJV. Did you notice what Second Chronicles 10:19 said. The rebellion is holding today. Not to worry, God is going to put them together again. Notice where the Bible promises just that. “I will surely assemble, O Jacob, all of thee; I will surely gather the remnant of Israel; I will put them together as the sheep of Bozrah, as the flock in the midst of their fold: they shall make great noise by reason of the multitude of men.” Micah 2:12, KJV. The Psalmist assured us that God had not forgotten his own. Again God acknowledges His three, through whom His blessings would flow. “Gilead is mine, and Manasseh is mine; Ephraim also is the strength of mine head; Judah is my lawgiver;” Psalms 60:7, KJV. “And it shall be, when they say unto thee, wherefore sighest thou? that thou shalt answer, For the tidings; because it cometh: and every heart shall melt, and all hands shall be feeble, and every spirit shall faint, and all knees shall be weak as water: behold, it cometh, and shall be brought to pass, saith the Lord GOD.” Ezekiel 21:7, KJV. “Fear not: for I am with thee: I will bring thy seed from the east, and gather thee from the west; I will say to the north, Give up; and to the south, Keep not back: bring my sons from far, and my daughters from the ends of the earth; Even every one that is called by my name: for I have created him for my glory, I have formed him; yea, I have made him.” Isaiah 43:5-7, KJV. What happened when they split into two nations? According to history, at approximately 720 B.C., Shalmaneser, king of Assyria, came and carried away Israel, consisting of ten and one half tribes into the nation of Assyria and implanted his people from Assyria into what had been the nation of Israel, and those people became known as Samaritans. The nation of Judah was left alone until about 710 B.C. That was 10 years later, and a new king in Assyria, by the name of Sennacherib came and took away most of the people living in the small villages and countryside of Judah. He could not take Jerusalem because it was a fortified city. 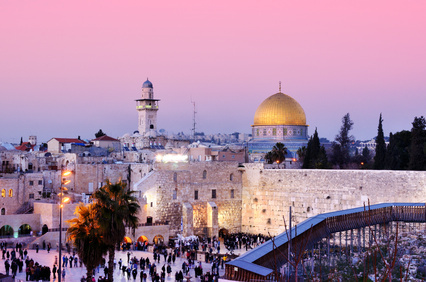 So Judah remained a city nation until approximately 585 B.C. when king Nebuchadnezzar captured Jerusalem and carried all the people of Judah into Babylon. Seventy years later a small remnant of Jews, led by Ezra, were allowed to return to Jerusalem. This remnant of Jews stayed in Jerusalem and populated the area with Jews so that the prophecy of Jesus’ birth could take place in Bethlehem. “The envy also of Ephraim shall depart, and the adversaries of Judah shall be cut off: Ephraim shall not envy Judah, and Judah shall not vex Ephraim.” Isaiah 11:13, KJV. Howard O. Pittman has been in my life since I was born. He is my earthly temporary “Dad” since my Daddy went to be with the Lord Jesus Christ. His testimonies are true, and he only wishes to see as many souls saved as possible before the end comes. I am always learning from him. Please keep reading his posts, buy his books and videos so you can learn too. Dear Brother Howard, The real Hebrews are the Negros, who were transferred by ships as per scripture, lost their heritage, called bywords, and all the curses of Deuteronomy also applies, serving their enemies who hate them, not able to prosper as a whole, even hidden from every discussion about the bible and history. True God does have the Real Jews hidden, Read the book; The Hidden Treasure That Lies In Plain Sight. I’ll most likely never hear from you and these trues will never be acknowledged by many until Jesus returns, but Sir it’s true, In America Negros suffers til this day every curse in Deuteronomy, around the earth and in every town in the most God forsaken conditions ” Ghettoes – Hebrew for slums” you will find Jacob all of them, just do a honest and God inspired search. America even refuse to acknowledge slavery and sweep it under the rug, but God hears the blood and is soon going to answer the cries and turn the captivity of Jacob. That feeling you have is the Spirit of truth, don’t ignore it, there is a blessing, God can’t lie. you’ve done lots of research, please do this one and don’t hold the truth. I read your outline quite compelling. Lets finished off the story why don’t we. Deuteronomy 28:15 – 68 ( which are the CURSES). The only people that fit that is your so called “African Americans” – according to history and reading the Bible we know that they were Black. When you read Exodus 4:6 – Moses hand was like leprous as white as snow. When you read Numbers 12:10 – Miriam became leprous as white as snow. You cannot see that on individual like that unless they were Black. Job 30:30 decribes himself as Black. Even Shaul (Paul), in Acts 21:38 was thought to be an Egytptian – why was that? For he was Black. Who people call Jesus is a White man, with blue eyes and a groom beard. He looks nothing like Revelation 1:13-15 (He is Black & His name is Yahshua). As you read throughout the BIble the people who followed Yahweh does not have a religion. We understand that religion is man made. So what “MOST PASTORS” teach is “TRADITION” not the truth. I guess just from my topical reading of the Bible – that Noah was Godly – knew & obeyed & heard the Lord – that after landing on Mt Ararat – he & his family became the Hebrews after wandering down into the Fertile Cressant area. As usual – I’m wrong again! I heard you speak at the first interview you had with Thurman Scrivner. I moved down to Justin TX to be in his church for a while. I heard that CD then in 2008. I already had one of your books from years before! Thank-you for all your hard work! We need what you teach – very bad.